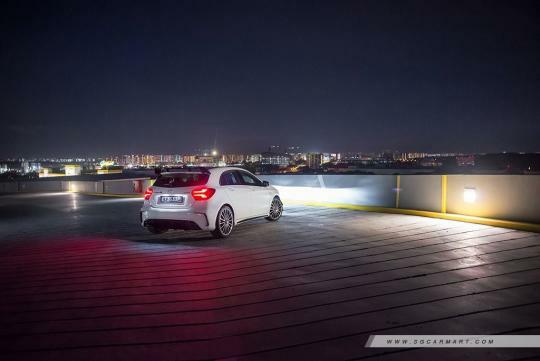 Its been three years since the Mercedes-Benz A 45 AMG came into the hot hatch market and rewrote the hot hatch performance rule book. But according to Autocar, Mercedes has already started work on the second generation of the model and it will be even faster. Likely to go on sale in 2019, it is rumored to use the car's existing 2.0-litre turbocharged four and will be tuned to deliver more than 400bhp. The current car has an output of 381bhp. While the engine might not be all new, the gearbox will be. It is said to use a variation of the the nine-speed dual-clutch gearbox used by lesser Mercedes-Benz models that have not been launched and will be key in allowing the uber hot hatch to hit 100km/h from a standstill in less than four seconds. To keep its weight in check, more aluminum is expected to be used throughout the new model's construction.